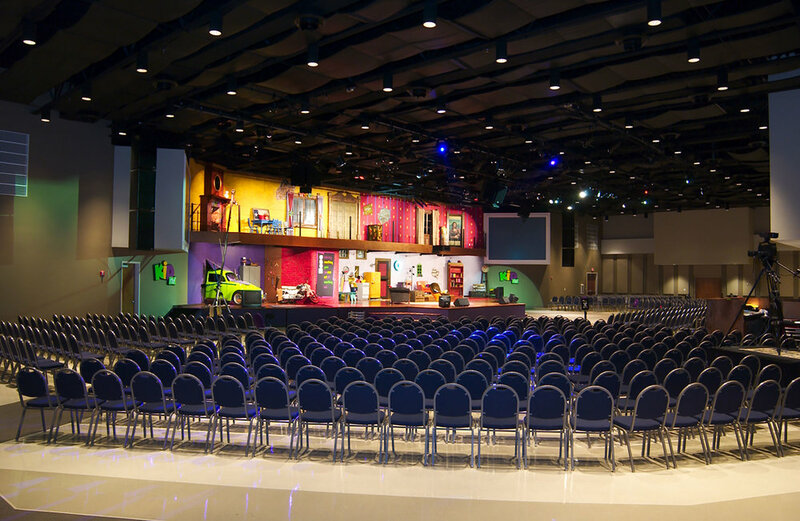 North Point Community Church was a test bed for innovation in the contemporary church movement. Capitalizing on extensive analysis of precedents, the NBA team integrated a series of design features from a range of project-types and building types to set a new standard for operations, performance, continuity and flexibility in religious facilities. Breaking with tradition and typical church mindset, the NBA team based the circulation system on well known models in airport concourse design. We leveraged our experience designing in hotels and conference centers, to create spaces where large groups could move freely, talk to one another, meet one another and fellowship together with the larger goal of creating the bonds of friendship and community.